Ever have promotional mail delivered to you that just didn’t make sense? Like a discounted family gym membership when you’re single. Or maybe an email sent to you that was more geared toward someone your parents’ age? What about surfing the web and you start to see banner ads that would definitely interest you—if only you lived in another state? Well, folks, these are examples of marketing research and data analytics that went terribly wrong. More specifically, how profiling, segmentation, and modeling probably weren’t done to reach you with the most relevant messaging or products. Let’s break down these key marketing methodologies to answer those very questions. Profiling uses concrete data to create detailed portraits of who your customers are. Typically, this information is used by stakeholders to develop a marketing strategy. This method allows you to speak to your entire customer base using the demographics most prevalent across this group and the basic key characteristics they display. This also helps with year-over-year tracking and trend analysis for early identification of customer shifts. Profiling is a great start to your overall marketing strategy. 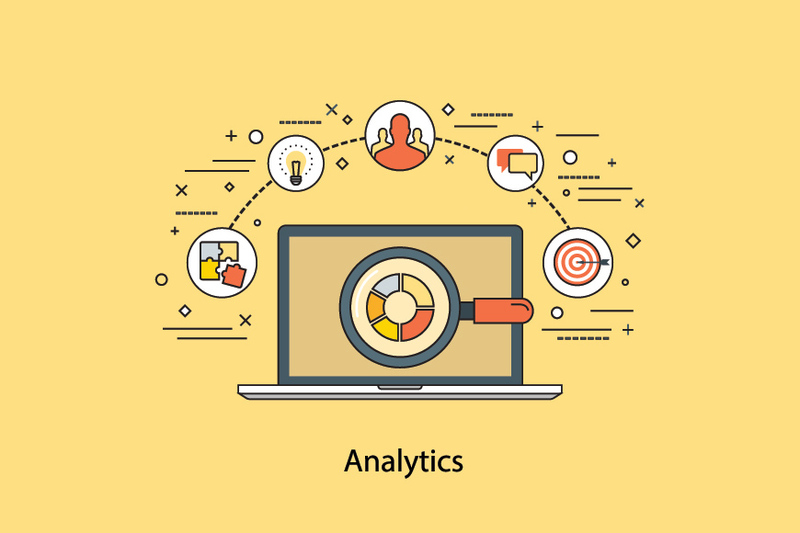 It provides solid baseline analytics for you to gain customer insights and to develop your strategy. Profiling can also be used to determine criteria for more fine-tuned data analytics like modeling and segmentations, which we will cover in just a moment. Segmentation divides your existing customers into clusters based on commonalities and similarities, such as social economics, financial behavior, attitudes, and motivation, to determine how to talk to your audience—what to say, how to say it, what images should be used. Essentially, segmentation is used to determine how to motivate your audiences into taking action. By dividing them into like-minded groups, you can better identify the needs of more customers. Then, by tailoring your offer with varying messages, images, pricing, product features, and channel to these different segments, you are able to not only optimize your communication spend, you are able to target those with the greatest profit potential and improve your open rates and response rates. For instance, you know Subaru Imprezas sell best to women in their 30s living in Vermont. You can develop a “one to the many” campaign that tries to reach all of them. But, by doing this, your message has to be less targeted, essentially watering it down and making it less impactful. Instead, you could create segments for them and create powerful messages to each of the highly targeted groups such as stay-at-home homes who love Facebook, avid outdoor sports women who use Instagram, and professionals traveling 30 miles to work each day and check their emails religiously. Now you can choose which products to features, which channel to use to access them, and which images and messaging to use—like women loading kayaks on their roof rack, or parents taking out lacrosse sticks and dance recital costumes from the trunk. Now you can see how custom-built customer segmentations are extremely powerful to your marketing strategy, campaigns, and can be highly aligned with your long-term and short-term goals to drive profitability. Modeling is a statistical methodology used to predict future buying behavior and outcomes. Based on historical data (who is most likely to act,) modeling helps determines which target audience members receive a treatment—like a direct mail piece. The process uses the name and address of customers and hundreds of supplement variables including socioeconomics, lifestyle characteristics, and credit information. Modeling allows you to leverage this vast number of variables to identify which are most telling. Your goal with modeling is to find prospects who are most likely to respond to your next campaign. A traditional approach uses only target demographics like 35 to 59-year-old homeowners living in the service area with an income of $24,000 to $49,000. This works to a point, but the accuracy can be off. You’re held back by the lack of data richness—a target list based on limited attributes. Additionally, your budget may play a part of moderate success. We’ve seen it all before: You have 100,000 prospects in your service area, but only a budget for three direct mail drops to 50,000 of them. How do you predict which 50,000 are the best targets? Ah, modeling, of course! This cuts out guess work and discovery costs. Modeling focuses on propensity, a prospect’s natural tendency to behave in a particular way. Based on these stats, you can create smaller lists that optimize your spend by eliminating target audience members who are unlikely to respond, which increases your return on investment (ROI). All three methodologies are essential to highly effective, cost-efficient marketing. Profiling is a great tool for communicating with stakeholders and developing your strategy. Segmentation determines how to advertise to your audiences and motivate them into action. Modeling identifies which people will receive the ad based on buying behaviors. Where companies can go wrong is choosing one of these methods instead of harnessing them all. One of the best ways to ensure a successful marketing approach is integrating all three of these synergistic methodologies for highly-targeted, ROI-yielding campaigns.